We have a busy month planned at the library, and I hope that you'll mark your calendars for some of our exciting events. While your calendar is open, flip ahead to January, and "save the date" for January 24 at 6pm. We'll be welcoming author Michael Zadoorian to talk about his books that evening. In January we will also have book club discussions of two of Michael Zadoorian's books, Beautiful Music, and The Leisure Seeker, as well as a screening of the movie adaptation of The Leisure Seeker. This newsletter covers adult events, but be sure to check out our events calendars online or at your favorite library location for details about programs for children and teens. As always, if you have any suggestions for future events, I'm happy to hear them. Sharon Hatfield will be joining us to discuss her new book, Enchanted Ground: The Spirit Room of Jonathan Koons. From the Publisher: In Enchanted Ground, Sharon Hatfield brings to life the true story of a nineteenth-century farmer-turned-medium, Jonathan Koons. One of thousands of mediums throughout the antebellum United States, he built a house in the hills outside Athen, Ohio, where it was said the dead spoke to the living, and where ancient spirits communicated the wisdom of the ages. Curious believers travelled from as far as New Orleans to this remote Appalachian cabin. Sharon Hatfield is an award-winning journalist and nonfiction writer. Her interest in Appalachian letters and history led to her writing Never Seen the Moon: The Trials of Edith Maxwell and coediting An American Vein: Critical Readings in Appalachian Literature. She lives in Athens, Ohio, with her husband. Come celebrate International Games Week with our collection of board games. Bring a friend, and meet some new ones! Looking for an event for kids? Check out our Family Game Night on Wendesday November 7, 4-6pm in the Main Library Annex. Come and Join us for some tea & embroidery. Using basic hand embroidery stitches, you can create your own masterpiece. Instructor Patty Hanna will walk the class through 6 basic stitches. 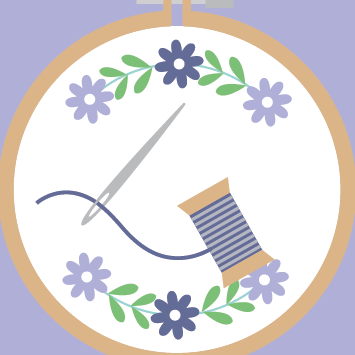 Whether you are a beginner, or have done hand embroidery before, all are welcome! The class at Main Library and the one at Northside Branch will cover the same material. Please choose the location and time that works best for you. Registration required. Come try this gentle form of exercise! Participants should wear comfortable clothing and flat shoes. Our guest presenter is Pam Nichols, a certified Tai Chi instructor through the Tao Academy of Kansas City. This is the last class for the year. Pam will return January 8, 2019. Please register if you would like to receive an e-mail reminder. Come and join us for some tea & embroidery. Using basic hand embroidery stitches, you can create your own masterpiece. Instructor Patty Hanna will walk the class through 6 basic stitches. Whether your are a beginner, or have done hand embroidery before, all are welcome! The class at Main Library and the one at Northside Branch will cover the same material. Please choose the location and time that works best for you. Registration Required. Monday November 5, 6pm at Kingston Branch We will discuss Simon Brett's The Liar in the Library. Wednesday November 7, 11am at Richmond Dale Branch We will discuss Lisa Scottoline's After Anna. Monday November19, 6p at Paxton Branch We will discuss Christina Dodd's Dead Girl Running. Wednesday November 21, 12pm at Paper City Coffee Our lunch-time book club will discuss Graham Moore's Last Days of Night. Build a Terrarium: Monday November 5, 5:30pm at Frankfort Branch** All supplies will be provided. Beginner's Quilting: Tuesdays, 3pm at Paxton Branch Please call the branch or check online for a list of supplies. 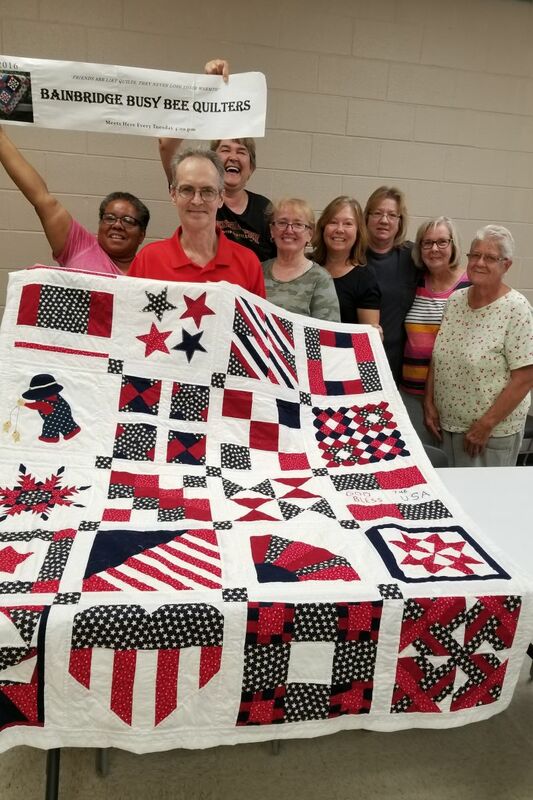 This month's photo features the quilt presented to disabled veteran Clint Kellis by the Bainbridge Busy Bee Quilters. Thanksgiving Tea and Sock Drive: Tuesday November 13, 6:30pm at South Salem Branch Put the 'giving' back in Thanksgiving. Bring new socks to be donated to the needy and your favorite recipe to share with friends over a cup of tea and snacks. 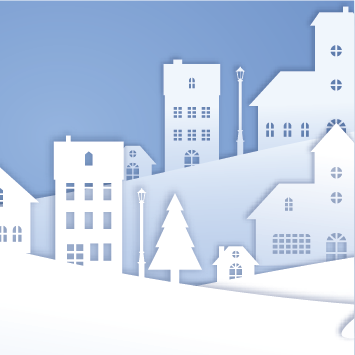 Library at the Downtown Open House: Friday November 16, 5-8pm Visit the library at the Downtown Holiday Open House! We will be decorating cookies outside of Julie's Shop on Paint, 92 North Paint Street. Come and design your own yummy holiday cookie with library staff. Julie's Shop will provide all the cookies and decor, so you can provide the creativity! These are events that are organized by groups or organizations other than the library, but are held in library spaces, and are open to the public. Contact information for each event is provided on the Events page. 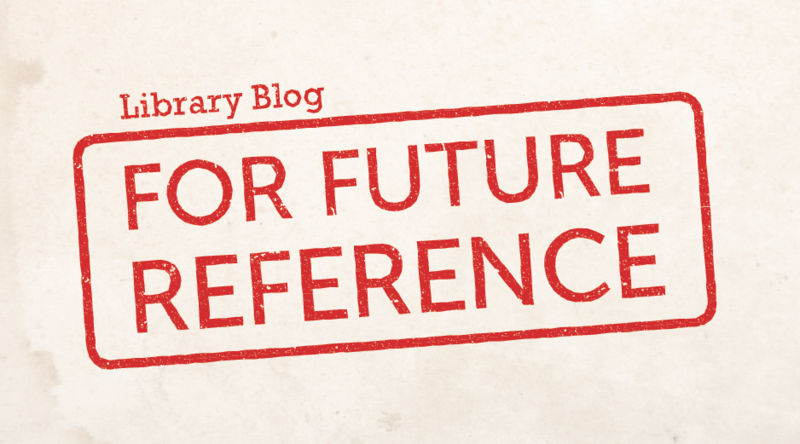 The library does not advocate or endorse the policies or purposes of any group or individual using the library meeting room. Gentle Yoga: Mondays at 9am at the Main Library Annex The library is closed Monday, November 12, so the yoga group will meet on Tuesday, November 13 that week. Soil Testing Series: Wednesday November 14, 6pm at the Main Library Annex Sponsored by the OSU Extension Ross County Master Gardeners. This is a follow-up to the October class. Read about other exciting things happening at CRCPL.